and what about the millions of illegal aliens entering the country with nothing but a primary school education… and no jobs… guaranteed basic income and Medicaid? teach them coding? One, the current US welfare state is already fairly generous. Just not as much as the Nordics. Two, if the US adopts the Nordic welfare state, taxes will go up. The AVERAGE Nordic person pays roughly DOUBLE the income tax and TRIPLE the sales tax of the AVERAGE American. Three, if the US adopts the Nordic welfare state, long-term US growth will suffer. Future prosperity will be less than it could be. My conclusion? 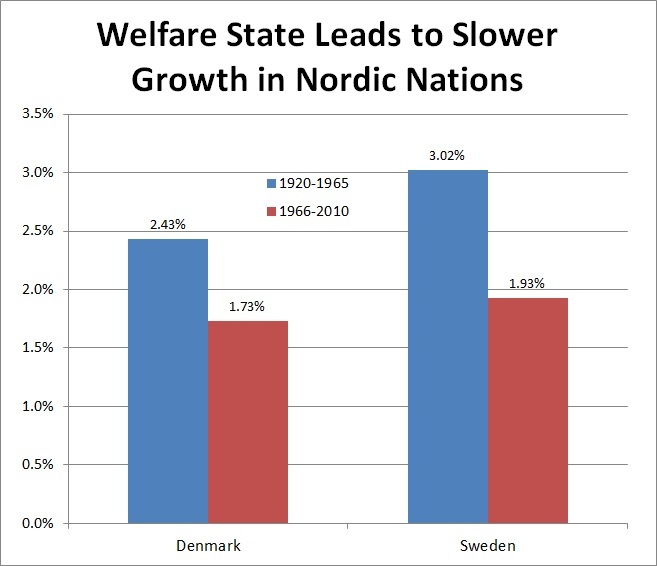 A large, Nordic-style welfare state is not worth it. For a better understanding of Nordic Socialism read “Debunking Utopia” by Nima Sanandaji. I good short hand for “free enterprise welfare state” is “social democracy,” meaning no central planning and little government ownership but heavy personal taxation and redistribution. This is what Sanders and AOC want. They don’t want responsibility for managing the means of production. That is hard work! They just want lots of free stuff like iPhones and ganga.